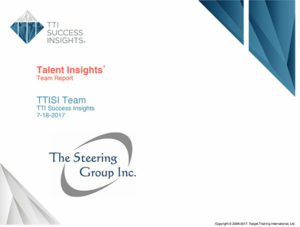 The Talent Insights Team Report combines two separate sciences into one comprehensive report, clearly illustrating how each person adds value to a team. Bouncing between reports is no longer necessary with the Talent Insight Team Report. The Behavior Team Report incorporated with either the 12 Driving Forces or the Motivators Team Report provides the detailed information needed to maximize your team’s performance, all in one easy-to-understand report.